Unit B108, The Arcadian Centre, Hurst Street, Birmingham B5 4TD. Travel up/down the M6. Turn off at Junction 6 towards Birmingham City Centre. Follow signs for City Centre and then signs for The Bull Ring. The Arcadian Centre is located opposite of The Bull Ring and near the world-famous Rag Market. Car Parking available in the Arcadian. 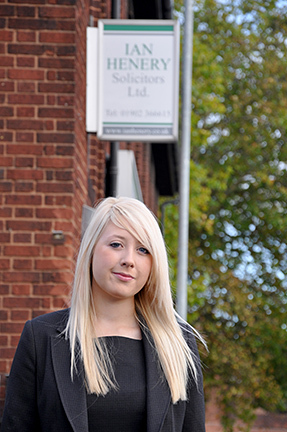 Our firm is located in Willenhall, a small town nestled between Walsall and the City of Wolverhampton, in the West Midlands. Willenhall is north-west of Birmingham, England’s second city. Quickjay Buildings, Bilston Street, Willenhall, West Midlands WV13 2AW. Travel down/up the M6 and turn off at Junction 10 and follow initial signs for Wolverhampton. After 2 miles, you will see signs for Willenhall. 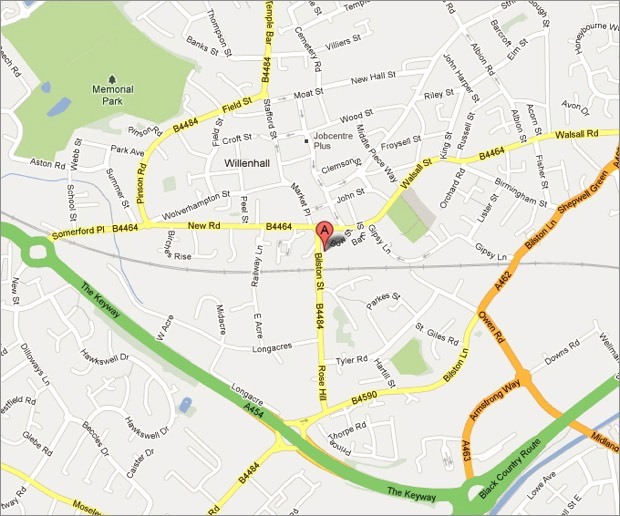 Our offices are located in the centre of Willenhall, on Bilston Street.